Original flaky crust made with real butter. Since 1919. No artificial flavors or sweeteners. Questions or comments? 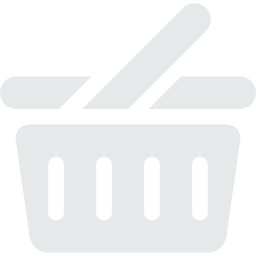 Please include the proof of purchase panel when writing to: Schwan's Consumer Brands, Inc., Consumer Affairs Dep't., 600 Michigan Rd. Marshall, MN 56258. Call us at: 1-877-Rlng-Pin (1-877-756-4746), or visit our website at: www.mrssmiths.com. Just like homemade our pies do not contain: high fructose corn syrup; artificial sweeteners, dyes or flavors. 0 grams of trans fat (see nutrition information for fat & saturated fat content). Nothing creates a delicious warm welcome like Mrs. Smith's blue ribbon pies. Lovingly made from Amanda Smith's original recipes created in the early 1900's, only Mrs. Smith's pies have her signature blue ribbon award-winning flaky crust, made with a touch of real sweet cream butter, abundant seasonal fruit and signature pieces. Today, our bakers spend hours delicately preparing each pie, and personally sample a handful each day, to ensure that each and every pie tastes as good as the original. So when you serve up a slice of Mrs. Smith's blue ribbon apple pie, you can be sure your guests will feel welcome, with every bite. For more freshly-baked goodness, try all our pies, cobblers & pie shells. Please visit us at www.Mrssmiths.com for more information about our products. Original flaky crust. Made with real butter. Since 1919. No artificial sweeteners, dyes or flavors. No high fructose corn syrup. Questions or comments? Please include the proof of purchase panel when writing to: Schwan's Consumer Brands, Inc., Consumer Affairs Dep't., 600 Michigan Rd. Marshall, MN 56258. Call us at: 1-877-Rlng-Pin (1-877-756-4746), or visit our website at: www.mrssmiths.com. Just like homemade our pies do not contain: high fructose corn syrup; artificial sweeteners, dyes or flavors. 0 grams of trans fat (see nutrition information for fat & saturated fat content). Nothing creates a delicious warm welcome like Mrs. Smith's blue ribbon pies. 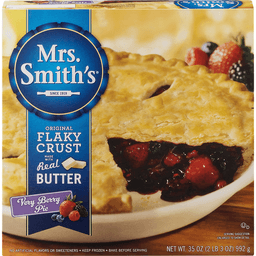 Lovingly made from Amanda Smith's original recipes created in the early 1900's, only Mrs. Smith's pies have her signature blue ribbon award-winning flaky crust, made with a touch of real sweet cream butter, abundant seasonal fruit and signature pieces. Today, our bakers spend hours delicately preparing each pie, and personally sample a handful each day, to ensure that each and every pie tastes as good as the original. So when you serve up a slice of Mrs. Smith's blue ribbon Very Berry pie, you can be sure your guests will feel welcome, with every bite. For more freshly-baked goodness, try all our pies, cobblers & pie shells. Please visit us at www.Mrssmiths.com for more information about our products. Limited Edition. Edward Desserts: How do we dessert right? Starting with a fresh-from-the-oven cookie crust, each dessert is crafted with layer after velvety layer of sweet creme delight and dusted with the most decadent of toppings. All meticulously whipped, toasted, sprinkled and drizzled to satisfy with every delicious bite. Topped with whipped creme rosettes. Vanilla cookie crumb crust. Layers of pumpkin spice creme and real cream cheese filling. Experience more tempting flavors like Hershey's Chocolate Creme Pie and Georgia Style Pecan Pie at EdwardsDesserts.com. 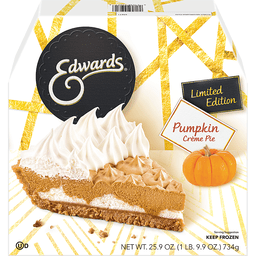 Dessert Lover, As the makers of Edwards Desserts, we want to hear your praise, feedback, comments, questions and ideas for future flavors. Call us directly at 1-866-739-2328 or visit us at EdwardsDesserts.com. Facebook. Instagram. Follow us on Facebook and Instagram. 100% recyclable. Recycling programs for this package may not exist in your area. Product of USA. 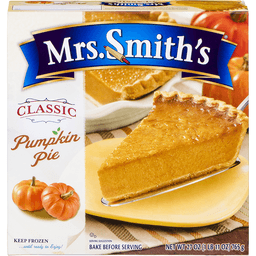 Mrs. Smith's Classic Pumpkin Pie. 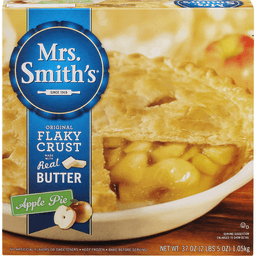 Using recipes perfected in Amanda Smith's kitchen more than a century ago, the makers of Mrs. Smith's desserts honor the original founder by crafting each pie and cobbler with the same attention to detail and premium quality ingredients. From the juiciest fruits to the flakiest crust, our desserts are bursting with a made-from-scratch goodness you can see and taste. Mrs. Smith's pies and cobblers...A timeless tradition. Home baked goodness for all occasions. Signature deep dish pies. Our very best - family sized pies with made-from- scratch taste! Fruit cobblers. For home baked taste with lots of hearty fruit fillings! Deep dish pie shells. Home-style flaky pie crusts - ready when you need them. Please visit us at www.mrssmiths.com for more information about our products. A subsidiary of The Schwan Food Company. Questions or comments Please include the proof of purchase panel when writing to: Schwan's Consumer Brands, Inc., Consumer Affairs Dep't., 307 West College Drive, Marshall, MN 562r58. Call us at: 877-756-4746, or visit our website at: www.mrssmiths.com. 2012 Schwan's Consumer Brands, Inc. All rights reserved. 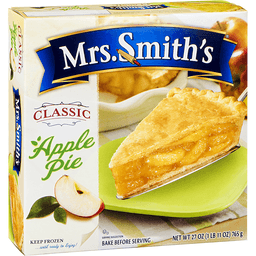 Mrs. Smith's Classic Apple Pie. Using recipes perfected in Amanda Smith's kitchen more than a century ago, the makers of Mrs. Smith's desserts honor the original founder by crafting each pie and cobbler with the same attention to detail and premium quality ingredients. From the juiciest fruits to the flakiest crust, our desserts are bursting with a made-from-scratch goodness you can see and taste. Mrs. Smith's pies and cobblers ...a timeless tradition. Home baked goodness for all occasions. Signature deep-dish pies. Our very best - family sized pies with made-from-scratch taste! Fruit cobblers. For home baked taste with lots of hearty fruit fillings! Deep-dish pie shells. Home-style flaky pie crusts - ready when you need them. Please visit us at www.mrssmiths.com for more information about our products. A subsidiary of The Schwan Food Company. Questions or comments Please include the proof of purchase panel when writing to: Schwan's Consumer Brands, Inc., Consumer Affairs Dep't., 307 West College Drive, Marshall, MN 56258. Call us at: 877-756-4746, or visit our website at: www.mrssmiths.com. 2012 Schwan's Consumer Brands, Inc. All rights reserved.